Well, this is not such a bad method as for preliminary results; however, the final result is very different, and we will explain exactly that in this article. Firstly, let see two examples from everyday life, for instance, San Francisco, New York and Omaha. The distance from San Francisco to Omaha is around 1,700 miles, while from New York to Omaha about 1250 miles. Let’s say our CDN POP location is in Omaha and if we test it from New York, it would be logical that the final result will be faster because it is closer. But in the world of the networks, the result can be reversed, i.e. it is possible the testing from San Francisco to be faster. Another example is when a WordPress site is hosted in Vienna, and we are trying to test it from Bratislava which is only 50 miles away from Vienna. According to our GPS, the connection from Bratislava to Vienna and back will travel for only four milliseconds, but we will mention it again, in the world of the networks the result can be 40 milliseconds because the routing would go through Frankfurt. Cedexis, a well-known company for web traffic optimization and analytic, benchmarks and provides visibility into latency, throughput and availability of the leading CDN providers. Cedexis provided data on Google Cloud CDN performance with Google Cloud CDN demonstrating industry-leading performance. Cedexis testing methodology used for the gathering of this data can be viewed on its website. From the Cedexis’ report, we can verify the example with the cities and see why the above two methodologies for testing the performance of the CDN are not plausible. The number of POP locations is a crucial fact, but it is not all that simple as in mathematics is “2200 greater than 80”. 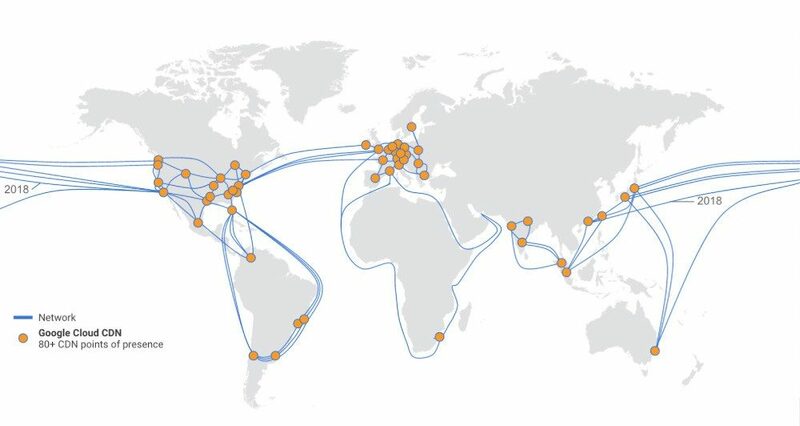 As you can see from the report of Cedexis, Google Cloud CDN has around 80+ locations, while Akamai has 2,200 locations. However, Google Cloud CDN has a better performance on a global basis. The report of Cedexis is incorporated on continents not states basis, but we can easily see that in Asia it is not Google, nor Akamai the fastest but CDNetworks. If the report had been presented by country, then each country even the smaller regions would have had a different winner. It gives us the knowledge that each CDN has its weaknesses and strengths in a particular area of the world. Anyway, we need to focus ourselves on a continent basis if most of our visitors come from only one continent or globally. Why is Google Cloud CDN is so fast? This question cannot be answered with certainty, anyway, here are a few examples that we think have a significant role in the speed. Google is the pioneer in the world of the networks or simply told, in the world of the Internet. Almost every innovation in the network, protocol, etc., comes from Google or is supported by Google. Your site is hosted in Central America. When a visitor from London visits your site, the CDN takes the image of Central America and then caches it in London for the next visitor. Unlike the most of other CDN providers, Google Cloud CDN uses a single global IP address that works everywhere and does not require regional DNS. Most of the other CDN providers that use DNS to route the visitor to the nearest POP location can be so inaccurate that it would be even slower than not using CDN i.e. the user will take the image faster from your server instead of the “nearest” POP location. Google Cloud CDN does not support custom origin server. This means that if you want to use Google Cloud CDN, then your site must be hosted on Google Cloud Platform. We can conclude from this that Google has an optimized network between its servers and the CDN POP locations. 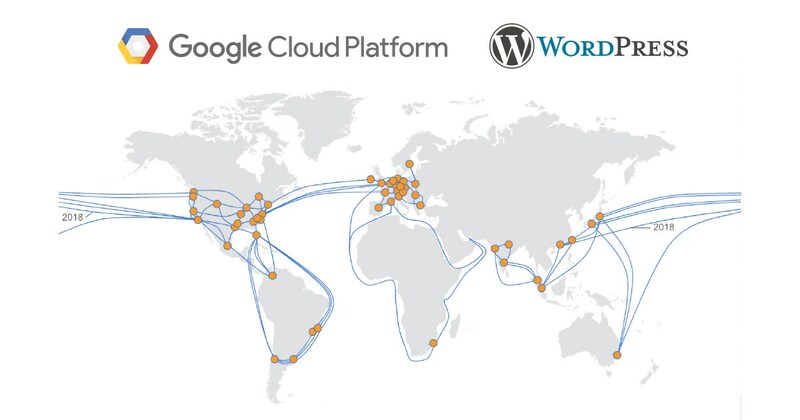 How to use Google Cloud CDN for your WordPress Site? We have mentioned that to use Google Cloud CDN, your WordPress site must be hosted on the Google Cloud Platform, and to do this, you need to have knowledge of the server administrator. 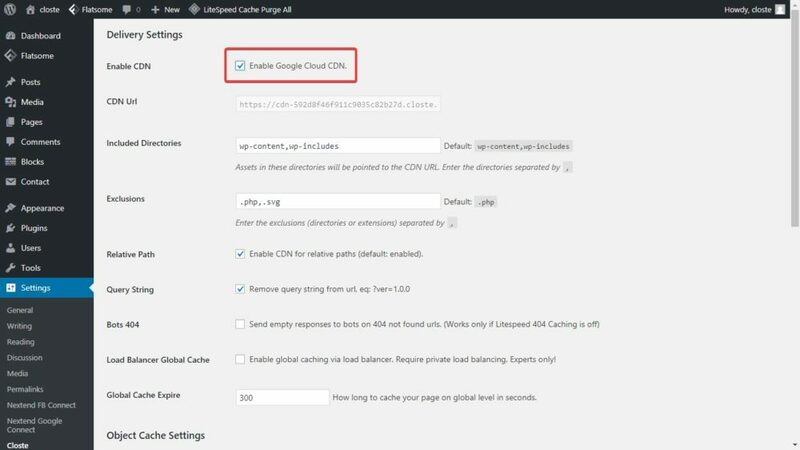 We have enabled this automatically on our platform, in fact, any WordPress site including the staging sites has automatically integrated and activated Google Cloud CDN service. More settings can be found in your WordPress menu, Settings -> Closte. We also have a monitoring system from where you can track how your visitors are using Google Cloud CDN.